Samoa is a group of islands in the South Pacific, halfway between Hawaii and New Zealand. It was a German protectorate until 1914. It was then occupied by New Zealand until 1962, when it became the first Polynesian nation to regain independence. There are two main islands. In 1997, Western Samoa dropped the "Western" part of its name to become simply Samoa. We have added a page with brief historical notes about Samoa and Western Samoa. The page you are reading now relates purely to coins of Samoa. 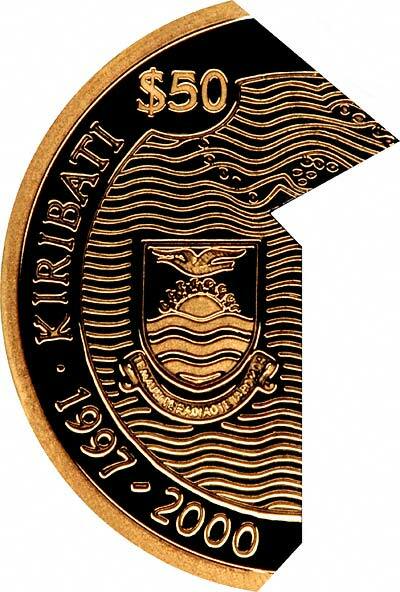 We show a two-part coin, issued as two halves by Kiribati and Samoa, a nice feature and an interesting marketing gimmick. The fact that Samoa was recognised by the United Nations as Samoa instead of Western Samoa way back in 1976 seems to cause some confusion. The name was formally changed in 1997. The change appear to still be causing confusion. 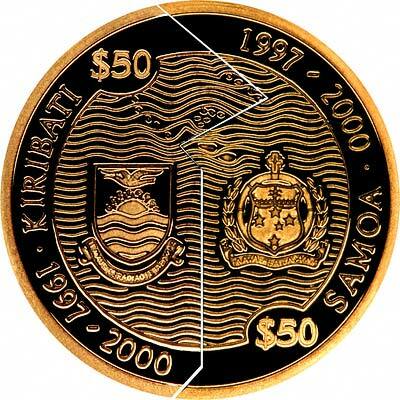 We feature a coin issued by Samoa in 1998 for the millennium. Most world mints used the millennium as a marketing excuse by issuing coins in, and dated, 2000, although logically and mathematically the new millennium did not start until January 1st 2001. Competition with other world mints meant that many of them brought out their millennium coins in 1999, to get in ahead of the others. The British Royal Mint were among this group, and its labelling and designation of its millennium products is very confusing. Although Samoa is further West than Kiribati, it is east of the International Date Line, whereas the Date Line distorts around Kiribati to include it in the western hemisphere. So although the sun rises earlier in Kiribati than in Samoa, Samoa is actually one day ahead of Kiribati, confusing? 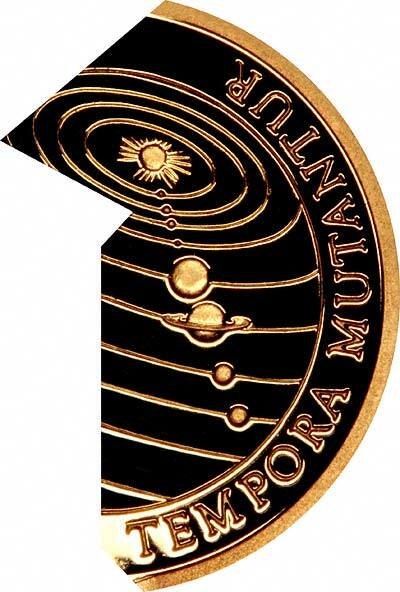 This confusion appears to have spread to The Royal Mint, who we believe struck the illustrated coin which is date 1997 - 2000, although this may have been at the request or instruction of whoever authorised or promoted the coin issue. The sample we have seen was marketed by Westminster (The Westminster Collection Ltd.). On the front of the certificate is the date 1998 in brackets. 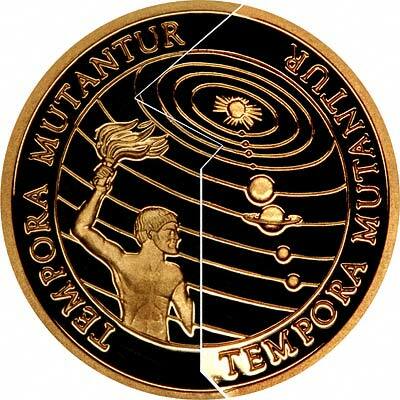 We deduce that is is meant to indicate that the coin was issued in 1998. Krause shows it as 1997 adding (ND), indicating that although the coin bears dates, its actual date of issue is not shown in the conventional manner. Krause's confusion is understandable when you consider that the people who commissioned and marketed the coin fail to clarify the facts. On the certificate there is further confusion and error. Although it correctly states "Samoa" on its cover and also in the first paragraph, the second page of the certificate goes on to state that "Western Samoa consists of a group of group of nine islands in the Pacific which forms part of the Samoan Archipelago...). The certificate is "facsimile) signed by Stephen R. Allen, Managing Director. We guess that Mr Allen neither knows or cares about the country in whose name the coin is issued, what is is called, or where it really is. But then again, Westminster manage to sell many more coins than we do, and at much higher prices, so perhaps it is we who are doing things wrong! The Samoan coinage is denominated in Tala which derives from dollar and thaler, and is subdivided into sene, which also derives from the words cent and centime. * Diameter incorrectly stated as 25 mm on the certificate. Weight stated as 1/8 oz on certificate. We make an active market in almost all world coins, gold or otherwise, including Samoan gold coins. If you have any of these coins to sell, please contact us, or post them to us for appraisal and offer.